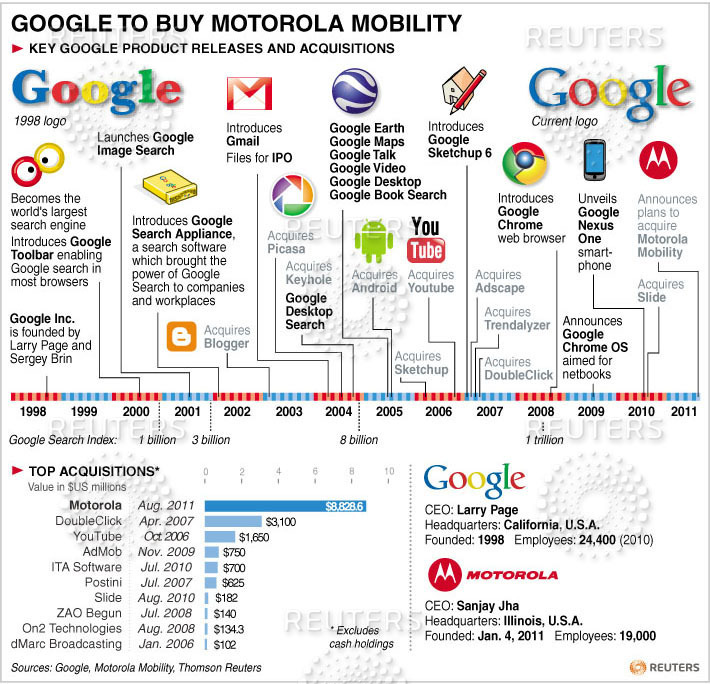 Last week, Google announced that it would buy Motorola Mobility, for U.S.$12.5 billion. Along with the handset business buy, Google also gets hold of over 17000 patents, which will come in handy in its fight against rivals, like Samsung and Apple. Reuters has an interesting infographic that details the timeline of Google's products.